Sioen Industries, a leading producer of technical textiles, fine chemicals and high-tech protective clothing, will commercialize its patented seaweed cultivation substrates via the spin-off company called AT~SEA Technologies. 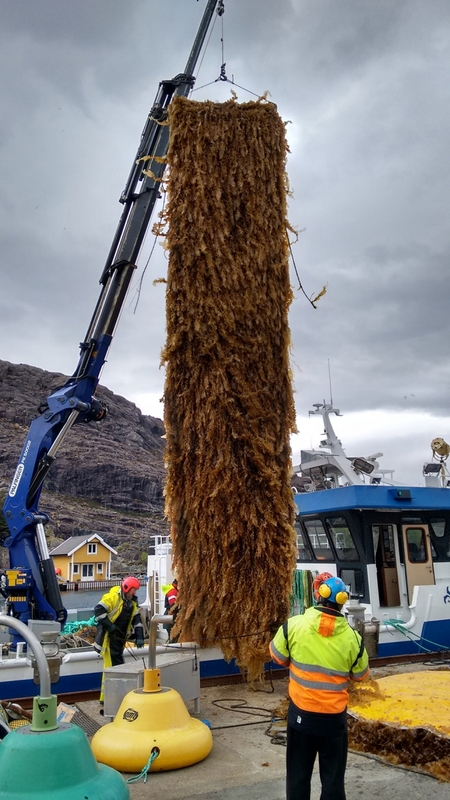 Together with seven of the AT~SEA project partners, Sioen founds AT~SEA Technologies, a spin-off company that will sell turnkey seaweed farms. AT~SEA, Advanced Textiles for Open Sea Biomass Cultivation, was an EU 7th framework project. Sioen coordinated this research project since 2012. It targeted the development of advanced, 2D seaweed cultivation substrates in order to demonstrate the technical and economic feasibility of seaweed cultivation in Europe. AT~SEA Technologies, consisting of six companies from Belgium, Spain, The Netherlands, Ireland and Morrocco, and two research institutes from Belgium and the UK, will start its activities in August 2015. The first target will be to deploy a 1 ha test farm for seaweed cultivation in Norway by September 2015. The AT~SEA project was funded by the European Union’s Seventh Framework Programme. Sioen Industries has an extensive portfolio of products and activities, which include spinning, weaving and coating, manufacturing of garments, production of fine chemicals and processing of technical textiles. Sioen believes that vertical and horizontal integration, diversification and permanent growth provide the company with a major technical advantage and better R&D. The company’s main focuses are on customised products, high end, specialised products, recyclable/recycled products, integrated features, and intelligent textiles.